California's student assessment system is known as California Assessment of Student Performance and Progress (CAASPP). The primary purpose of CAASPP is to assist teachers, administrators, and pupils and their parents by promoting high-quality teaching and learning through the use of a variety of assessment approaches and item types. Smarter Balanced Summative Assessments for English language arts (ELA) and mathematics in grades three through eight. The Smarter Balanced Summative Assessments which are delivered by computer consist of two sections: a computer-adaptive test and a performance task (PT) based on the Common Core State Standards for English language arts and mathematics. The computer-adaptive section includes a range of item types such as selected response, constructed response, table, fill-in, graphing, etc. The PT are extended activities that measure a student’s ability to integrate knowledge and skills across multiple standards—a key component of college and career readiness. The California Science Test (CAST) California’s new state standards for science call for students to think and work like scientists and engineers—asking questions and learning through hands-on investigation and discovery. Working with science teachers, California is developing a new assessment that emphasizes scientific thinking and reasoning. 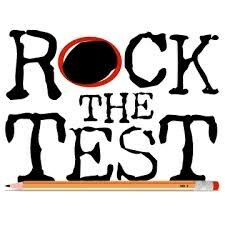 This year 5th & 8th grade students will participate in the tryout of test items for this future assessment. While this tryout will not provide scores, it is an important first step in developing an assessment that will fairly and accurately measure how students are achieving on the new science standards. The California Alternate Assessment (CAA) for English–language arts and mathematics in grades three through eight. The content of the CAA is based on alternate achievement standards derived from the Common Core State Standards for students with the most significant cognitive disabilities. The CAA will be delivered on the computer for this operational administration.